How does globalization affect firm productivity? My research explores firms’ response to the threat of import competition. With the globalization of trade, specifically with China joining the World Trade Organization, entrepreneurship and innovation in the US is declining. My research is looking to better understand the channels through which globalization improves firm performance and alters their incentives to innovate. For example, the semi-conductor industry relocated a major part of its production process abroad due to cheaper prices. At the same time, the industry invested significantly in research and development to upgrade its product lines. Thus, I wish to understand how offshoring and innovation complement one another as firm strategies. A better grasp of firms’ responses has implications for US policy responses import competition. My favorite pastime is biking around Philadelphia. I also play guitar and drums. 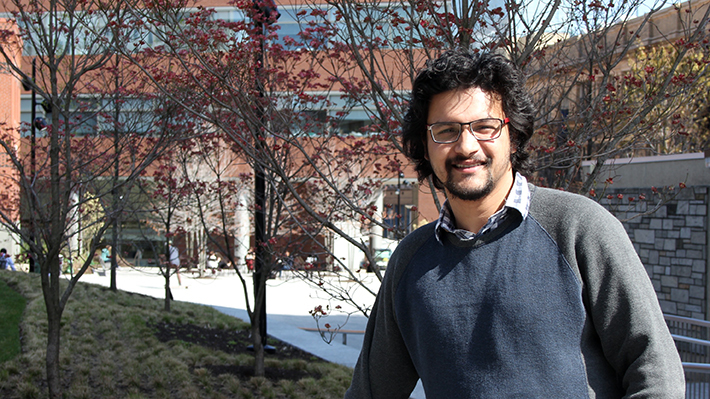 Economics PhD Candidate Ishan Ghosh discusses his research exploring the role of international trade on industrial organization, how tariffs affect how companies invest and working with the Philadelphia Federal Statistical Research Data Center.